A couple of years ago, we wrote about the Kickstarter campaign for Matthew A Cherry's animated short Hair Love. The campaign went on to break records for a short film on the platform, raising $300,000. It's now emerged that Sony Pictures Animation has picked up the film, and will release it theatrically later this year. The short centres on an African-American father as he does his young daughter's hair for the first time. 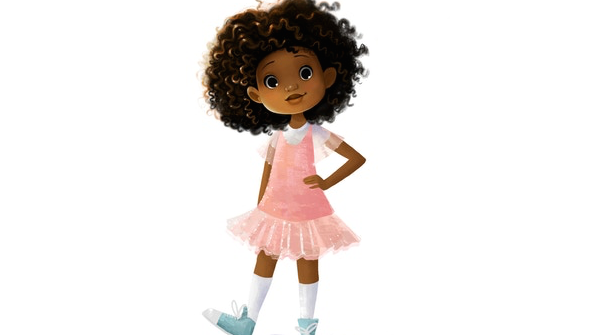 "Through this project, it is my hope that we can show a positive image of black fathers and their daughters while encouraging natural hair and self-love throughout the world through the animated space", Cherry said at the time. The film has also inspired a picture book, set for release this May. Cherry was originally slated to direct alongside Jason Marino, but Everett Downing (The Book Of Mojo) has since replaced Marino as co-director. Peter Ramsey ( a director of the Oscar-winning Spider-Man: Into The Spider-Verse) is an executive producer on the project. The beautiful character designs are created by Vashti Harrison. It remains to be seen exactly how you'll be able to see the film (if you didn't back the Kickstarter). It's likely that the theatrical screenings will be intended to qualify the film for the 2019/2020 awards season. This year's Sony Pictures Animation release is Angry Birds 2- might it be released with that? Unlikely bedfellows as they may seem, it would seem that's the most likely if it's going to release this year.